Feared by all yet courted by many, refusing outside allegiances yet willing to hunt Kindred for a payment of blood, the Assamites are among the most reclusive clans. Once hunted, these vampire assassins are now sought out by the Kindred to dispose of their enemies. Fearful tales are told of their skill in hunting the most dangerous prey, their bravery in combat, and their fierce loyalty to their clan. Yet the tellers of these tales do not guess at the truth: the millennia of warfare, the roots of the Jyhad, and the clan mysteries which no outsider has ever seen. New Skills, Quitus powers and advanced combat rules. The scans are okay. However, some pages are completely crooked. That's not very nice to look at. What a pity. 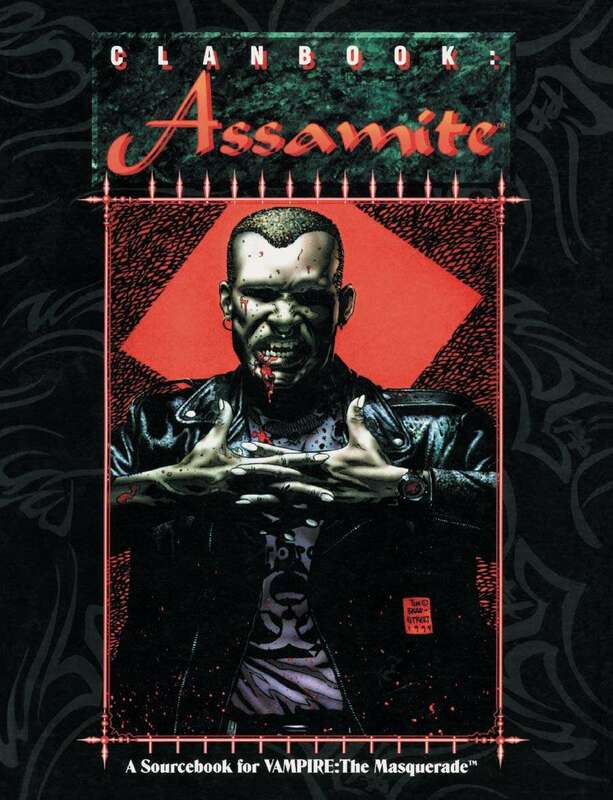 It's the same original Clanbook: Assamite I knew and loved in the '90's, but there is a weird line going down the front and back cover. The front cover seems like it was over saturated in Photoshop. Also pages 39 - 42 are all crooked. None of the text on those pages is missing but it's really annoying.